A lovely message and the beautiful warmth of yellow gold combine to create this inspirational 14K gold infinity cross stud earrings from Apples of Gold Jewelry. 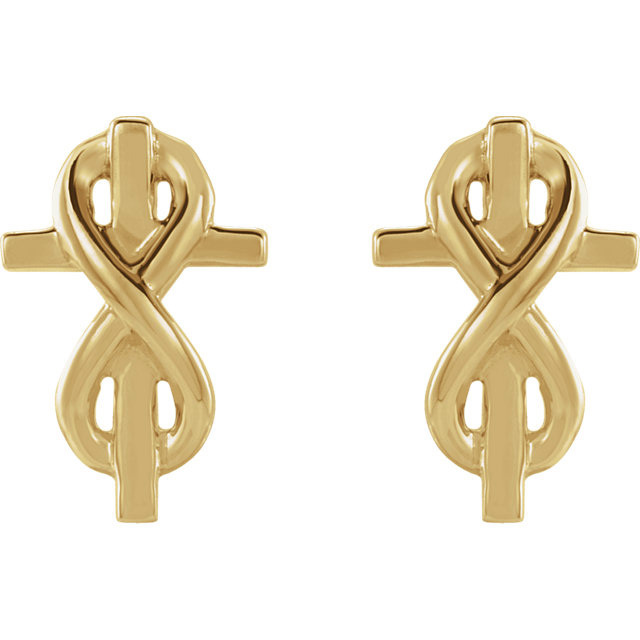 These beautiful earrings, which measure between 3/8" and 7/16" tall (10.19mm tall) and 1/4" wide (6.67mm wide) feature a 14K yellow gold cross with an infinity sign looped around the top and bottom, reminding you of how endless God's love is. The friction-post push-back closures are perfect for keeping your stud earrings in place while being worn. 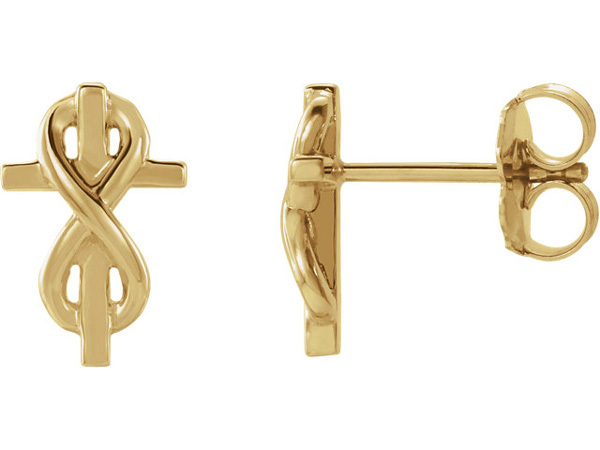 We guarantee our 14K Gold Infinity Cross Stud Earrings to be high quality, authentic jewelry, as described above.